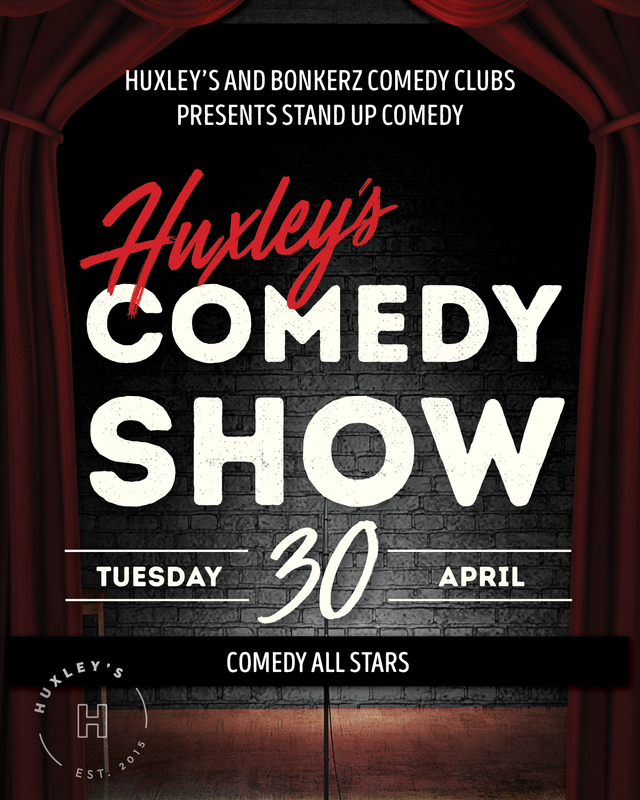 BonkerZ Comedy Clubs Australia present, Caringbah's new home for Comedy, Huxley's.This Month its The BonkerZ Comedy Allstars Comedy Showdown! We've gathered 5 of the this years funniest, wackiest, zaniest and darn right unpredictable comics and placed them in our Allstar show. It's BonkerZ Creme of the crop in laughs show. Get your ticket, grab a seat and hold on tight. The laughs will be non-stop. Our featured comics have performed in the Melbourne, Sydney, Perth, Canberra and Adelaide festival as well as the Comedy Store and Improv in Los Angeles. Book your seats Now, then call Huxley's @ (02) 9531 4999 to reserve your table. You can also email them at reservations@ferosgroup.com.au in the email tell them your name, how many in your group, name and date of show. On line sales end at 4pm, buy tickets at door at 7pm. Note: Door prices slightly higher. Come in early for dinner with a killer menu, amazing surroundings and friendly staff. Shows will be held the last Tuesdays of each month. Pre-book your seats in advance and save big bucks off the door price. Show starts 8pm sharp. 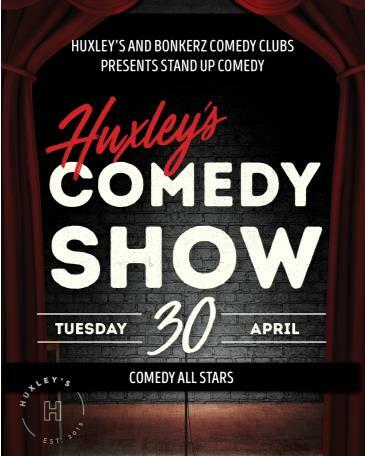 Huxley's is part of the BonkerZ Comedy Circuit. Bringing the Ha Ha to you you, across the country. New comics, new shows each month.